What Is Foreclosure Defense & How Can It Save Me From Filing Bankruptcy? What Are The Benefits Of Hiring A Bankruptcy Attorney? 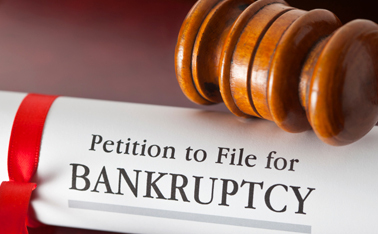 If you have decided to file for bankruptcy in NC, then you definitely want to hire an attorney. Bankruptcy can be a difficult process, so you definitely do not want to go through this alone. There are many ways that you can benefit from hiring a Concord bankruptcy attorney. There are many differences between Chapter 7 and Chapter 13 Bankruptcy. You will be able to wipe out all of your unsecured debt if you file for Chapter 7 Bankruptcy. Chapter 13 Bankruptcy allows you to pay back your debt over time. It will typically take three to five years to pay off the debts if you file for Chapter 13 Bankruptcy. Each one of these options has its advantages and disadvantages. A Concord bankruptcy attorney will help you weigh the pros and cons of each option. Bankruptcy law can be complicated. You can take the time to research, but you may still not find out everything you need to know. Keep in mind that if you make one mistake, then this can delay the bankruptcy process. A bankruptcy law firm can make sure that you understand everything that you need to know about bankruptcy. Your attorney can also make sure that everything is done correctly, so you will be able to get through this process as quickly as possible. If you have debt that you cannot pay, then you probably have to deal with harassing phone calls. These calls can stress you out to the max. However, you will not have to deal with this harassment anymore after you file for bankruptcy. An attorney can contact your creditors on your behalf, which will save you stress.